Mr. Martín began his ballet training at a very early age at the studio of Dance Aikoa in Spain. At the age of 15, he moved to Madrid to pursue his ballet training under the guidance of Carmen Roche. While in Madrid, Mr. Martín finished his studies of Music and Dance, earning a degree with High Honors from the Royal Conservatory of Madrid. After his graduation, he joined the Ballet del Mediterraneo, and it was with this company that he made his professional debut in Madrid dancing The Kingdom of the Shades from La Bayadère. Immediately following these performances, Mr. Martín was invited by Fernando Bujones to join Ballet de Monterrey (Mexico) as a Principal dancer. During his time in Mexico, he danced numerous Pax de Deux from the classical repertory and performed throughout Mexico as a guest artist. In 1998, he joined Tulsa Ballet as a Demi-Soloist and rose through the ranks, receiving his promotion to Principal dancer in April of 2001. 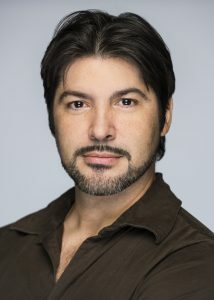 Mr. Martín’s professional career also includes Boston Ballet. His repertory includes Principal roles in Giselle, Don Quixote, Cinderella, Romeo and Juliet, Swan Lake, The Sleeping Beauty, Val Caniparoli’s Lady of the Camellias, Brigit Culbert’s Miss Julie, George Balanchine’s Who Cares? and Theme and Variations, as well as the creation of Charles in the world premiere of Tulsa Ballet’s The Nutcracker. Mr. Martín has been featured in works by John Cranko, Val Caniparoli, Jiří Kylián, William Forsythe, Paul Taylor, Antony Tudor, Jerome Robbins, Robert North, Nacho Duato, John Butler, Twyla Tharp, Fredrick Ashton, Christopher Wheeldon, Edwaard Liang, Jorma Elo and Ma Cong. He received the gold medal at the second National Competition in Torrelavega, Spain. Mr. Martín has appeared as a guest artist across the United States and in Spain, Italy, Mexico and Brazil. 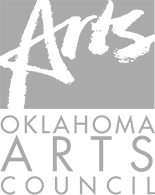 At the end of the 2012-2013 season, he retired from dancing and joined the Tulsa Ballet Artistic Staff assuming the responsibilities of Tulsa Ballet II Artistic Manager and Ballet Master. Off stage, he is married to retired Principal dancer, Ashley Blade-Martín.